What is Home Bleaching and Is It Good? Bello Dental Associates Blog What is Home Bleaching and Is It Good? The process of whitening your teeth at home using tools acquired from the dentist is known as Home Bleaching. It requires a set of trays that are placed around your teeth which is followed by applying bleach onto those trays. This bleach then goes on to whiten your teeth. The bleach usually comprises different chemicals at different concentration levels. The type of bleach commonly used is carbamide peroxide. The higher the concentration and thicker the material, the quicker your teeth will whiten using the process of Home Bleaching. Bleaching done using materials of lower concentration usually takes longer but also has fewer side effects. While bleach of higher concentration can cause your teeth to get whiter but can also cause more problems as it heightens the sensitivity of your teeth and is more difficult to tolerate. Therefore, the most important part of understanding whether or not home bleaching is good for you is to determine what kind of bleach you intend to use and for how long. It is advisable to store the bleach in syringes inside a refrigerator when it is not being used. Open syringes should be left outside the refrigerator to avoid an increase in its sensitivity due to the temperature fall caused by refrigeration. Not much time is spent at the dentist and this saves money making the process more affordable. The freedom to bleach your teeth as per your convenience. The procedures used by dentists are sometimes very difficult to bear making home bleaching a more appealing option. Home bleaching involves the responsibility of wearing trays around your teeth and completing the process on your own without any professional help. This is completely at your own risk. Many people undertake the riskier option of using more concentrated bleaching agents to speed up the process. This can cause harmful side effects. The most commonly experienced side effect of home bleaching is enhanced tooth sensitivity. In most cases, people have reported instances of their teeth being far more responsive to external stimuli than before, which make eating and drinking a more difficult experience. Sometimes, bleaching trays don’t fit properly around the teeth or just aren’t placed properly leading to discomfort around the gums. This can also be caused by a certain bleaching agent. It is not known why but home bleaching improves the health of your gums. It is speculated that this is because of the bleaching material being toxic to any bacteria that may be formed near the gums. You can definitely give the process a try and see for yourself if it is working for you. 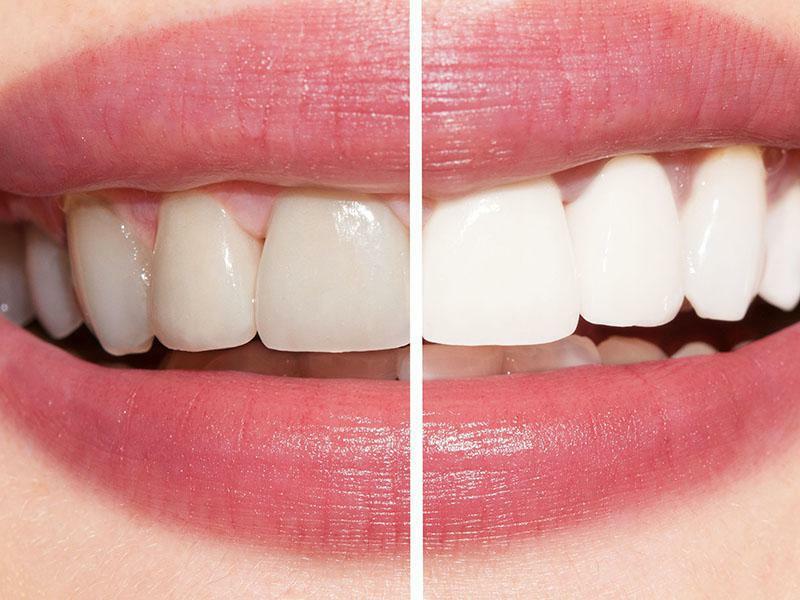 We all want that perfect smile, and home bleaching makes it easier for us to attain it. Choose your bleaching agent carefully, and you are good to go.